Where did the summer go? Part of me is relieved we're headed back to school, but another part wants one more trip to the lake with family, friends, board games and good books. At the very least, we deserve a few more weeks of reading on the patio before Labor Day, when we settle down for the seriousness of fall and winter. 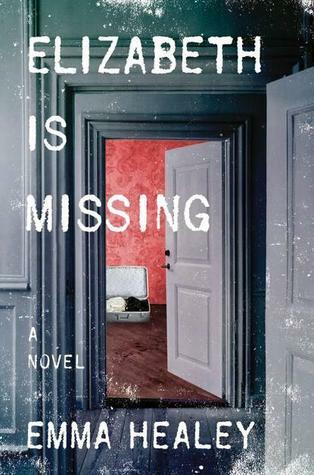 Emma Healey's Elizabeth Is Missing (Harper, June 2014) is perfect for a season that is winding down. Healey's narrator is Maud Horsham, a mother and grandmother who survived the London Blitz, but is now descending into dementia. She lives alone and copes with the help of daily visits from a carer and her harried, but loving daughter, Helen. Maud also writes endless reminder notes to herself. Many of them involve her best friend, Elizabeth, who is no longer to be found at the house she shared with her disagreeable son. Despite Maud's visits to the police and the concerns she voices to Helen, no one seems to care about the missing Elizabeth. This reminds Maud of the police reaction to the disappearance of her older sister, Sukey, shortly after World War II, and we follow her increasingly scrambled thoughts to the 1940s, where her memory is clearer. Then, she was 15 and living with her parents and a boarder who worked as a milkman. When the beautiful Sukey disappeared, she was married to Frank, a moving man experienced with the black market. Maud's narration is remarkable in its weaving in and out of its 1940s conciseness and its increasingly helter-skelter present. If Maud had a less loyal family, Elizabeth Is Missing would be heartbreaking reading. As is, it's an unsentimental but tender and insightful look at the disappearance of an aging woman's memory and identity. John Scalzi also looks at aging, memory and identity in his book of science fiction, Old Man's War (Tor, 2005). The twilight years of John Perry, however, are light years removed from Maud Horsham's. John celebrates his 75th birthday by paying respects to his deceased wife and then enlisting in the army, now called the Colonial Defense Force. The CDF is full of old men and women, because their expertise is valued. They defend the Earth, now considered the sticks, but they also seek to colonize what little is left of unclaimed inhabitable outer space real estate. It almost goes without saying that other planets seek to colonize it too. Wars over colonization have been waged for years. Upon enlistment, CDF soldiers are given youthful bodies. If they survive two years of service, they are given homestead claims on a colony planet. They are forbidden to return to Earth. Of course, the war they have to survive is unlike anything they expect. Scalzi's writing is witty and offbeat and his unusual elderly heroes are a welcome change as we head for a season of autumn colors and falling leaves.